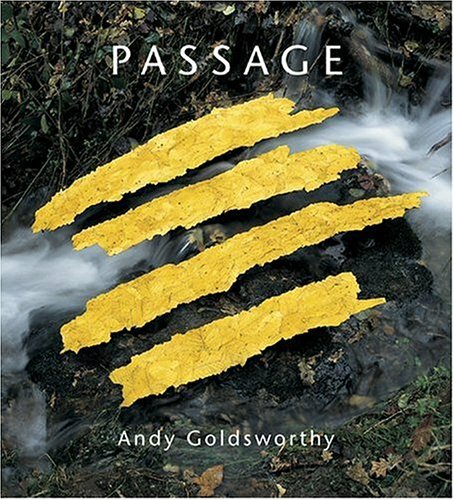 Andy Goldsworthy's 'Passage focuses on the journeys that people, rivers, landscapes, and even stones take through space and time. A cairn made by the renowned sculptor in the Scottish village where he lives reveals the influence that his work close to home has on projects he creates elsewhere. A series involving elm trees, from glowing yellow leaves to dead branches, exemplifies his work's vigorous beauty as well as its association with death and decay. Creations on the beach and in rivers explore the passage of time, while a white chalk path investigates the passing from day into night. 'Passage also includes the Garden of Stones, a Holocaust memorial at the Museum of Jewish Heritage in New York, where the artist planted 18 oak trees through holes in hollowed-out, earth-filled boulders. Documenting these and other recent works, this beautiful book is an eloquent testament to Goldsworthy's determination to deepen his understanding of the world around him, and his relationship with it, through his art.